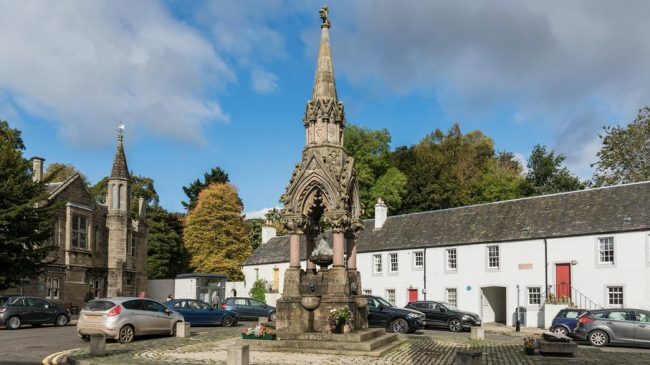 Beautifully situated on the banks of the River Tay, Dunkeld is a picturesque and tranquil place. From an early centre of Celtic Christianity to becoming a hub for modern folk music, this town has a rich cultural heritage. The old market cross has been carefully preserved and around 20 of the pastel-coloured houses (private residences) have been restored by the Trust, some of which date back to the 17th century. However, this little town was not always this peaceful. Shortly after the Battle of Killiecrankie, a fierce battle raged in the streets on 21 August 1689 between the Jacobites and government soldiers. Many of the buildings were burned or destroyed, and much of the Dunkeld we see today was rebuilt in the 18th century.